With so many things happening every day, this week has gone by incredibly fast. The fifth and last day of FAN2 is finally here, setting a sentimental mood for the last round of Fablab presentations. Below are some interesting tidbits of the day. Mr. Takemura Takashi set up a small lab in his backyard. Smacked between rural and urban areas and surrounded by farming lands, people here often work with bicycles. 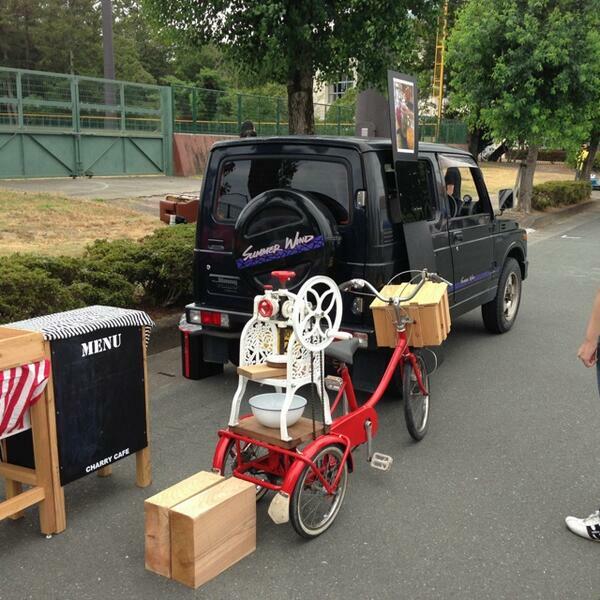 For example, they made an pedal-powered ice-shaving machine. 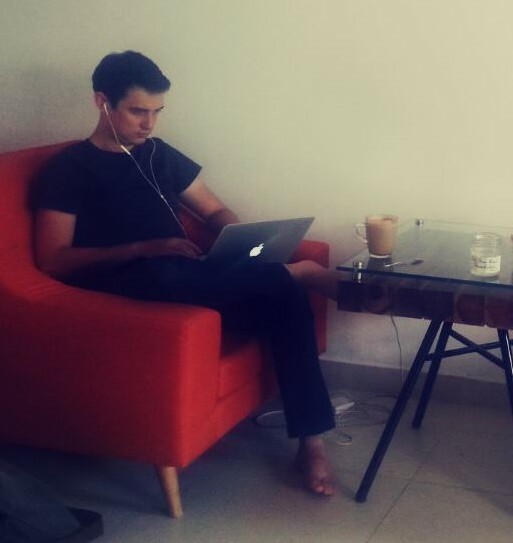 The lab is sustained by a membership structure. As we sat in for more lab reviews this morning, I realized that I was not bored because today’s talks highlighted a different aspect of fabrication. Often we make something because we have a practical use for it, or we just want to play with it. However, Fablab Dynamic and Makerbar Taipei make things designed to address a social or environmental issue, and digital fabrication is only a means to an end. 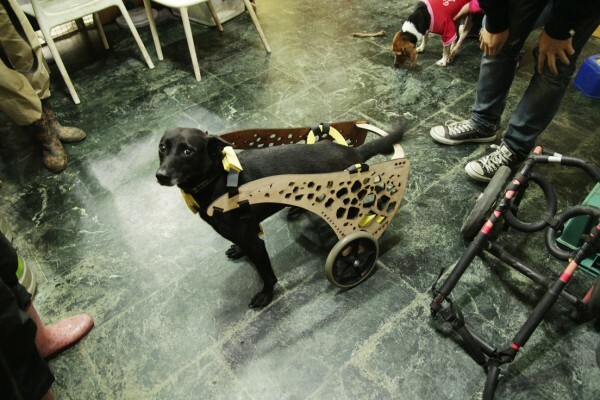 Take for example, Fablab Dynamic‘s Fab x Eco project is motivated by dog owners’ underserved need to customize wheel chairs for their beloved dogs. Using traditional manufacturing methods, such wheelchairs are costly and may not fit well to all dogs. Fablab Dynamic not only made their design open-source but also designed it such that the owner or the pet industry can simply enter the height and weight etc. of a dog and have the custom design generated for digital fabrication. Imagine how happy this would make the dog and its owner! 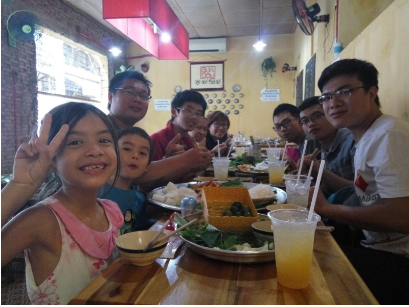 We encourage you to read Fablab Dynamic and Makerbar Taipei‘ blogs (Tip: Google translation is handy) for more inspiration on how we makers can put our skills to create impacts socially and environmentally. Sorry that this is a late post because we are getting busier and busier at the very fast-paced conference. 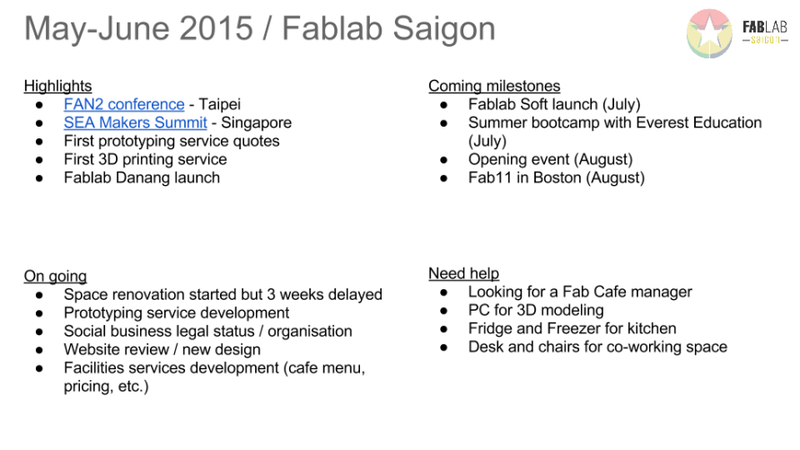 On the stage today, Mai presented about Fablab Saigon. 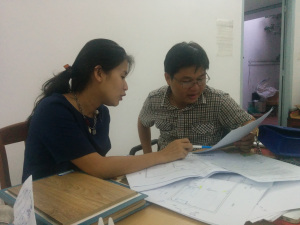 She shared Fablab Saigon’s current status, direction and what it will look like in near future after renovation. We received good compliments from the audience afterwards. Check out our presentation slides here. 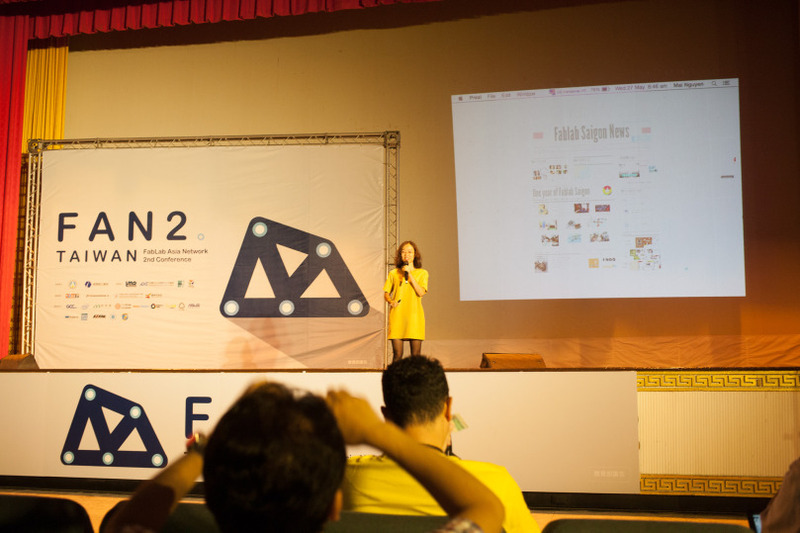 On the second day at FAN2, we met so many interesting people who come from different Fablabs all around Asia. Lab Review session started at 9:15am; each lab is given 15 minutes for their presentation. Ted – Fablab Taipei Director – was the first to present. 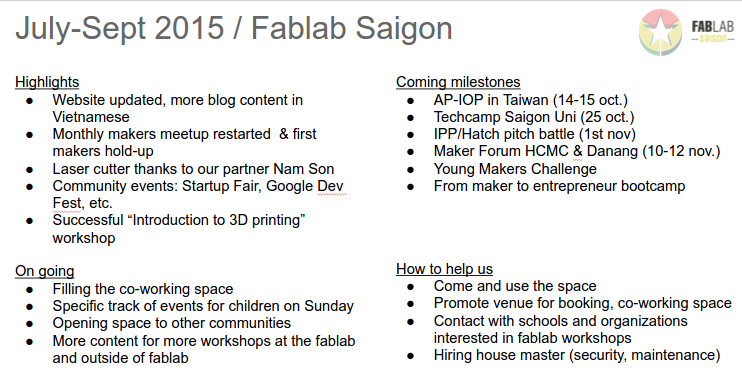 Fablab Taipei is a non-profit and has various projects ranging from art to appliances. We have been attracted by MIDI music instrument. Angeline who represented FAN1 organizer – Fablab Bohol – was next on stage. Fablab Bohol mainly focused on solving problems experienced in Philippine, such as upcycling. Strongly supported by their government, they also paid much attention to education as well as providing trainings to local people. We are finally here in Taiwan, a beautiful country. Its wide road-side pavements make a nice change from Vietnam. The rainy season is in this month so most people need to carry their own umbrella. Taiwan has great public transportation system, especially Metro (MRT) and High Speed Rail. We mostly use MRT to travel around the city. People here are nice and many of them speak English so it’s not that difficult for foreigners who don’t speak Mandarin to ask for help. Taipei food is slightly different from Vietnam cuisine, you can easily find different snacks along the streets. Today, FAN2 launch party was scheduled late in the evening so we spent the whole morning and afternoon to travel around the city and to visit new friends such as OpenLab Taipei.